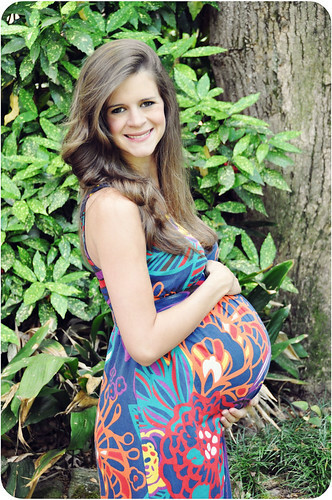 For This Child I Prayed: 34 weeks and a BIG GIVEAWAY!! How far along? : 34 weeks. Here is my picture with Lael. Total weight gain/loss: Last time I got checked I was up 22 lbs. Sleep: Not that great, but not terrible. I'm having a pain in the middle of my back on one side, and it's really hard to get comfortable even laying down. Best moment this week: Trey and I watched Ruthie's foot roll across my belly. AND... Trey gave me a 90 minute prenatal massage at Urban Nirvana for our 6 year anniversary, and it was a.ma.zing. Um, I haven't been able to lay on my stomach in months. The massage bed had a cut out just for my belly. Bliss. Movement: Because I've had an ultrasound recently I know exactly the way she is positioned. She wiggles around a lot, and it's neat to know which body parts I'm feeling. Her feet are up in my ribs on the right side, which is exactly where Lael's feet were. I don't care how many times you've been pregnant or how many times you've felt your baby move inside of you, it's a sensation that never gets old. And you never really get used to it. It's a magnificently abnormal feeling that I will so miss when Ruthie exits her comfy home. The way she jolts around in there almost makes me want to give a disclaimer to the stranger sitting beside me in church. "Oh, hi. Uh, please excuse my alienesque belly movements during the church service." Cravings: No big cravings really. Just enjoying eating whatever I want. I've been surprised at how quickly I get full, so I'm not eating a whole lot at one time. Belly Button in or out? still in, but one little part sticks out a little. What I am looking forward to: Our 34 week appointment this Wednesday. What I miss: I miss being able to breathe! It's sad when standing for 5 minutes makes you feel like you've just run a 5K. I can barely stand in the kitchen long enough to make dinner (actually, I can't. I take sitting breaks. ha.). The bigger she gets, the further up she is moving, and she must be squashing my lungs. I'm always out of breath. 1. We're about to get serious about working on the new nursery. We've just recently decided that we're going to leave Lael in her room, and put Ruthie in the guest bedroom. Originally we thought we were going to move Lael. The guest bedroom has also been my sewing room, so we've got to move a bunch of stuff out. I've been majorly procrastinating with this. I'll share more when we've made some progress. 2. People have started asking me, "So, any day now, huh?!" Ahem, no. I have SIX weeks to go. Thanks. Milestones: Ruthie's Daddy and I have been married 6 years! On a completely different but wonderful note... I'm hosting a GIVEAWAY!! And it's a good one. You don't want to miss out on your chance to win a $100 Babies 'R' Us gift card! For realz, I'm not kidding. 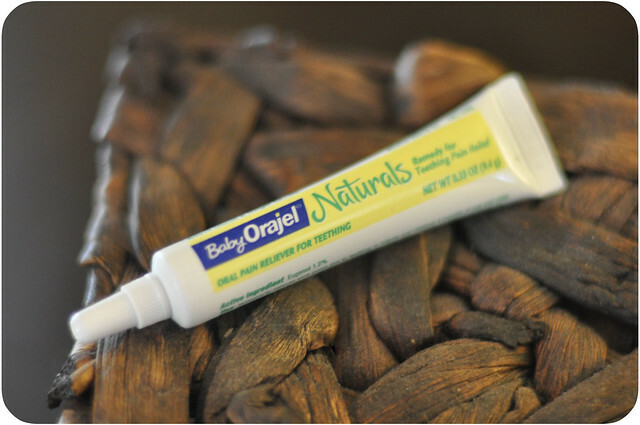 Hop on over here to read about Lael's teething progress, how Baby Orajel® Naturals helped ease her pain, and enter the giveaway!